BARCELONA (Sporting Alert) — Barcelona hammered Getafe 6-0 to move five points clear at the top of the La Liga standings on Tuesday night. DORTMUND (Sporting Alert) — Mario Gotze starts on the bench against his former club as German leaders Bayern Munich take on Borussia Dortmund on Saturday. 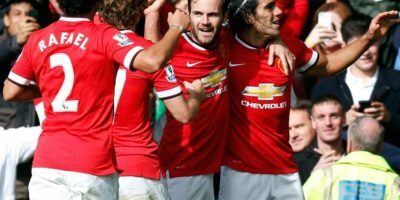 MANCHESTER (Sporting Alert) — Manchester United have made one change from the side that beat Newcastle United in the last outing for today’s English FA Cup clash with Arsenal at Old Trafford. Outspoken QPR midfielder Joey Barton has come out to defend Mario Balotelli and launched an astonishing Twitter rant on Brendan Rodgers and Jordan Henderson over the recent penalty kick incident. 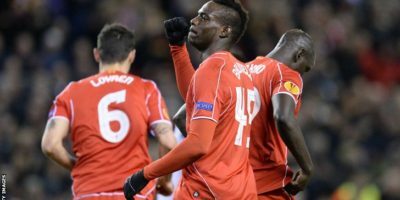 Liverpool captain Steven Gerrard blasted forward Mario Balotelli for showing a lack of respect after taking the penalty which earned the Reds a victory over Besiktas in the Europa League on Thursday night. LONDON (Sporting Alert) — English Premier League clubs Liverpool, Tottenham and Everton will all be in action in the Europa League encounter on Thursday. PRESTON (Sporting Alert) — Wayne Rooney starts as a forward tonight for Manchester United as the Red Devils meet Preston North End in the 5th round of the FA Cup on Monday night. LONDON (Sporting Alert) — Arsenal manager Arsene Wenger has handed new recruit Gabriel Paulista his debut for the club in today’s FA Cup 5th round tie against Middlesbrough at Emirates Stadium. MADRID (Sporting Alert) — Atletico Madrid scored a stunning 4-0 victory over La Liga leader Real Madrid at the Vicente Calderon on Saturday to cut Real’s gap at the top of the table standings to four points. 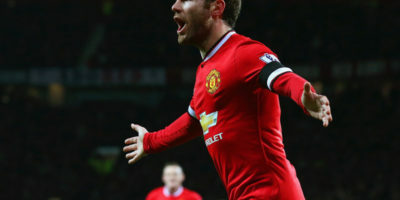 MANCHESTER (Sporting Alert) — Manchester United moved into the 5th round of the English FA Cup comfortably, following a 3-0 win over Cambridge United at Old Trafford on Tuesday night. Manchester United have named a very strong team to face Cambridge United in tonight’s FA Cup – 4th round clash at Abbey Stadium, but there is no Wayne Rooney and Victor Valdes is only on the bench.